A collection of downloadable digital books full of unique content. 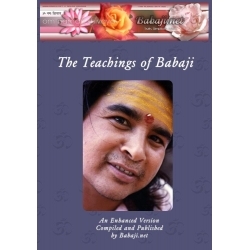 Some are instructional material for performing rituals, some are informative for holidays with information such as transliterated prayers and some include stories of Shri Babaji. Available for immediate download after payment. This book was inspired in prison. I wanted my son, long estranged due to divorce, to know the entire story; the why and the how that brought me to this place. In the process of writing, I discovered that I was really writing it for myself-to purge and forgive myself for the life I created. Sadly, my own compulsions sabotaged much of my life, allowing me to wallow in self-absorption and self-pity. Through years of laboring in rewrites, I have reviewed my life many times- maybe too many. The result has been a tremendous healing. My story is one of fall and redemption, of heaven and hell. It’s about the pain of loss and the cop-out path I pursued for so long. If you're looking for something better than what you’ve seen on TV or already read, you might or might not find it here. But remember, the truth is always stranger than fiction. I couldn’t have thought this story up in my wildest imagination. Hopefully, anybody suffering from alcoholism or an overactive ego may find a ray of hope here. 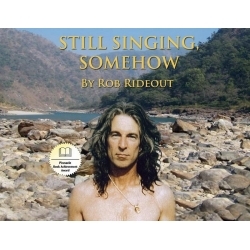 However, this book is without a hook; an inspirational memoir whose title alone will have to suffice. My lifelong dream has always been to pursue a lifestyle of truth, simplicity and love. The road to that goal hasn’t been easy, and I realize that I paved it all myself. I had to lose everything to gain a freedom I never dreamed possible, but it was worth it, every step of the way. Many names in this journey have been changed to protect the innocent. 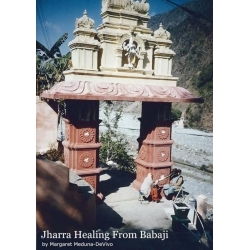 This eBook provides instruction, transliterated mantras and prayers as well as notations which help understanding the ceremony. 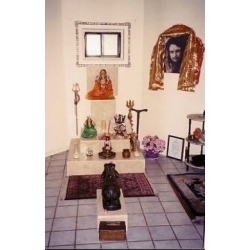 This material represents Aarati done to Shri Babaji as done in Herakhan. We also offer Aarati audio files in downloadable and/or CD formats. Using this eBook together with the audio version is very powerful. 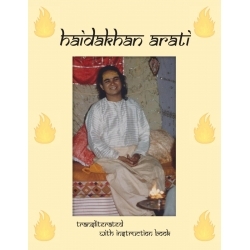 This eBook is part of the Haidakhandi Spiritual Practices Series. Aarati is a Hindu religious ritual of worship in which light from wicks soaked in ghee (purified butter) or camphor is offered to one or more deities. Aarati also refers to the songs sung in praise of the deity, when lamps are being offered. It is performed during almost all Hindu ceremonies and occasions. It involves the circulating of an "Aarati plate" or "Aarati lamp" around a person or deity and is generally accompanied by the singing of songs in praise of that Deva or person (many versions exist). In doing so, the plate or lamp is supposed to acquire the power of the deity. The priest circulates the plate or lamp to all those present. 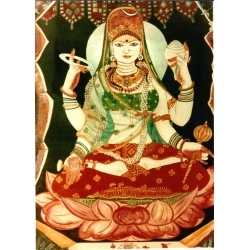 They cup their down-turned hands over the flame and then raise their palms to their forehead – the purificatory blessing, passed from the Deva's image to the flame, has now been passed to the devotee. This is a digital product, available for immediate download after payment. 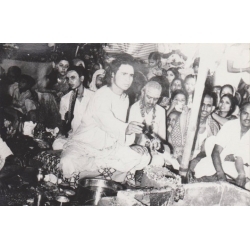 I bow down to my great Sadguru Babaji, by the mere remembrance of whose name one attains spiritual blessings in return and fruition of his devotion. 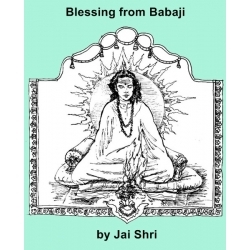 I feel myself too fortunate despite my paucity (both spiritual and intellectual) I may being bestowed with the honor of handling this task of remodeling the pre-publication "Babaji" by his Holiness Ananta Anant Kailash Guha Behari Kashi Vishwanath Bhagwan. Any errors of omission or commission that may have crept in the said publication are entirely mine and for which I crave the indulgence of readers. I owe my sincere gratitude to reverend Sri Swami Fakira Nandji who has supplied the entire material data and under whose guidance and grace the publication has attained its completion. Also I cannot hesitate to express my gratitude and regards to my senior codevotee Dr. V.V.S. Rao who is also the back-ground of most indispensable material data and whose very foot-steps I have trodden. This is a reprint and update on a small book created by Mr. S.P. 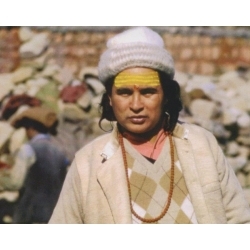 Srivastava in 1977. 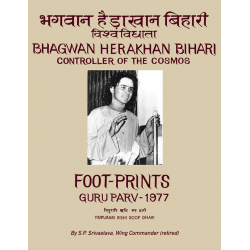 Haidakhan Babaji's foot prints were captured using ink on his feet. The symbols found there are traditionally considered to be sacred hints of Divinity taking on a human body in order to assist humanity. 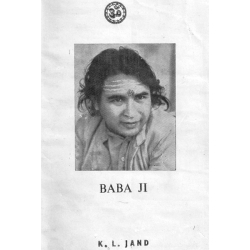 This is a very interesting read and includes photos of Babaji's inked footprints that show the symbols. In May, 1917, three children in Fatima, Portugal, were granted the first apparition of the Immaculate Heart of Mary, in which Our Lady gave information about upcoming events as well as 'solutions' which would help humanity. There were several apparitions and a "Third Secret" which was to be revealed in 1960. 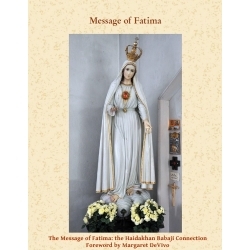 This is the story of Our Lady of Fatima's message, how it corresponds to Shri Haidakhan Babaji's message, and how this information came to be shared in our online shop. Every time Angelo cooks at the Center, people beg him for the recipes. Now you can prepare these simple, healthy vegetarian dishes in your own home! A great gift! J.T. 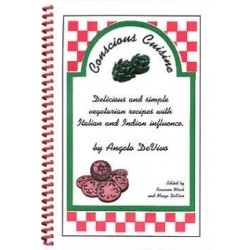 in Colorado says, "I'm writing to thank you for your cookbook. We tried a recipe within the hour of its arrival and all concerned raved about the taste. More recent meal time experiments have resulted the same way. Simple ingredients, simple preparations; filling but light, invigorating, and great taste. The book is well-laid out, easy to use, and its not just a fundraiser, it's a service! Enjoyed it immensely." This is a digital product and will be available immediately after payment - offered at a discount temporarily for the holiday, limited time. Navaratri is celebrated in spring and in fall every year - this year it falls on October 10 - October 19. Navaratri is a very special NINE NIGHTS of honoring the Divine Mother. 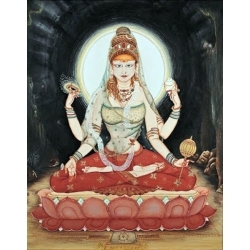 Divine Mother makes Herself more available to us during this time period. There are certain protocols to follow that will make the most of these sacred energies. Babaji taught us to observe this bi-annual celebration. 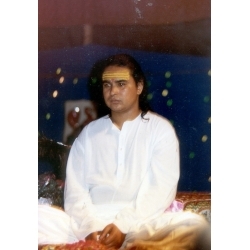 Shri Muniraji reinforced it so that Spring is celebrated in Haidakhan and Fall is celebrated in Anand Puri Ashram, in Chilanaula. Available for instant download immediately after your PayPal payment. Each day of Navaratri begins with an overview, the mantras used on that day and the Devi Mahatyam Slokas for that day. Mantras and Slokas are presented in a transliterated version and an English translation. All information is arranged in a manner that provides for daily devotion of each day individually.